Email marketing list providers offer an important resource for businesses who need to quickly reach thousands of consumers without overspending. Imaging building a database with sales and free contests. This can take months or years to build and then you still have to maintain the data, send out messages and build your own creative. If it’s November 1st and you need to start a campaign for Black Friday, you will not have time to build your own list. So, what are your options? Working with list providers is the most cost-effective way to quickly reach a highly-targeted audience and introduce your promotion and brand to them. 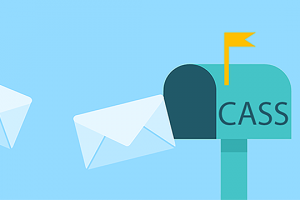 Email blast service providers make it easy and affordable to send out a campaign. They allow you to target the audience based on age, geo, personal interests, political affiliation, marital status, how many children they have, if they own or rent their home, if they own or lease their car and so much more. All these selects are valuable because they allow you to narrow your search and send your content to the person who is most likely to respond to it. These companies will then help you to create and share the content over multiple platforms. Virtual DBS online company email address database resources help you to take any marketing campaign to the next level with high-quality targeted and cost-effective strategies that are proven to work. If you are curious to learn about how we can help email marketing list providers, be sure to contact us for a free consultation about how we can help your business to grow, reach new consumers and improve your strategy from the top to the bottom. Our free consultation will ensure that you get the information you need, and we will personally work with your team to develop a sound strategy that combines our resources and yours to produce the best possible campaign.